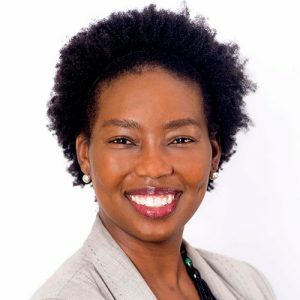 Sheena Foster is the Executive Director of Can I Live, Inc a national non-profit resident association the equips and empowers residents of public housing to become leaders and self sufficient. She has spent over fifteen years working as a faith based economic justice in the labor movement and finance sector where her work spans five continents. She is passionate about equitable community development and promoting economic and social justice, especially for communities on the margins, immigrants, and ex-offenders. She has a deep passion for accelerating workforce development through innovation within STEM fields to prepare low-wage and low-skilled workers for the digital revolution. When she is not working or serving her community, this New Orleans native loves hiking, thrift shopping, taking in the art scene, collecting vinyl records, cooking Louisiana Creole-and Cajun-inspired dishes and/or hosting fundraisers for non-profits she’s passionate about. Sheena is currently taking a break from business school so that she can focus on launching a STEM program for low income families while balancing work and play. A self proclaimed uptown girl, ambivert and sapio-sexual, Sheena’s passion for WIT stems from reclaiming her joy of igniting and inspiring, laughter and creativity. Sheena is excited to work towards increasing, diversifying and sustaining public participation and fostering public dialogue around the arts and loving on her new WIT family. If you see someone not wearing a smile, give them yours!